Leading the pushback is Express Scripts, a company that bargains with drug makers on behalf of employers and insurers. Health insurers are pushing to link the cost of specialty medicines to how well they work to improve a patient’s condition, a bid to contain prescription drug prices after decades in which pharmaceutical companies could charge whatever the market would bear. The shift is coming as insurers absorb mounting bills for drugs with eye-popping prices and brace for a slew of new therapies for diseases such as hepatitis C, cystic fibrosis, breast cancer, lung cancer, and leukemia. Those emerging treatments could cost US government-paid health programs such as Medicare nearly $50 billion over the next decade, according to an estimate by an insurance industry trade group, America’s Health Insurance Plans. Massachusetts biopharma companies are bracing for payment changes, fearful they could cut into profits or dampen the enthusiasm of investors. But they are also hoping to capitalize on the so-called pay for performance trend with a new generation of targeted therapies that can effectively treat a higher share of patients with specific genetic mutations. Among those leading the drive for new pricing is Express Scripts, a company that bargains with drug makers on behalf of employers and insurers. It is advancing a plan that would offer different reimbursement rates for drugs that treat more than one type of cancer based on how long the drugs extend lives. Insurers, including Harvard Pilgrim Health Care and Blue Cross Blue Shield of Massachusetts, are examining that payment arrangement and others, such as rebates to patients and insurance plans in cases where drugs aren’t effective. The new payment criteria are likely to emerge slowly and vary widely based on types of medications and payers, which include insurance companies and some government plans such as Medicaid. But proponents agree they need to rein in prices of specialty drugs, which can run up to tens of thousands or hundreds of thousands of dollars a year. 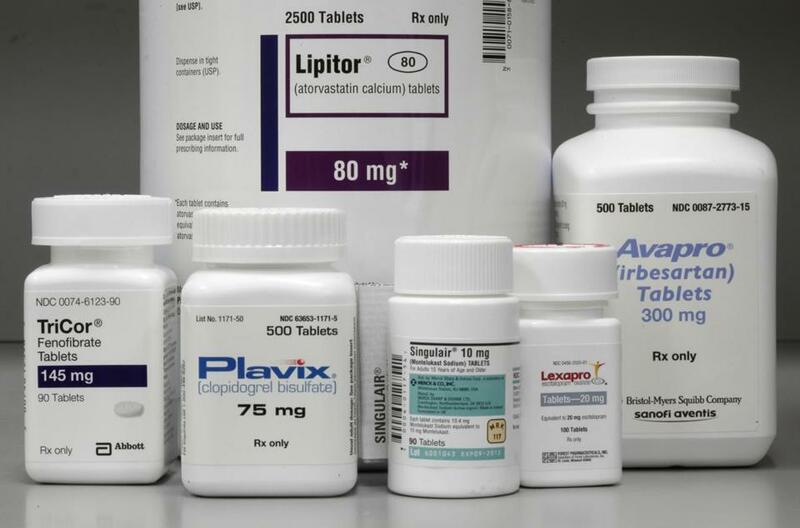 Concerns over drug prices were fueled by a popular $1,000-a-pill hepatitis C treatment from Gilead Sciences Inc. of Foster City, Calif., that took payers by surprise last year, curing thousands of patients but inflicting financial losses on Medicaid insurers across the country. Those worries have been underscored by a string of business deals — such as last month’s $8.4 billion agreement by Connecticut’s Alexion Pharmaceuticals Inc. to buy Synageva BioPharma Corp. — that seemed to be premised on the companies’ plans to sell drugs for rare diseases at exorbitant prices. Biopharma executives say payers need to weigh factors such as diet, exercise, and the age of patients along with their drug regimens when analyzing health outcomes. They also point out that the share of health care spending related to drug costs has held steady at 10 percent to 15 percent for years, a significant but not overwhelming portion of total expenses. Still, they are embracing the concept of “value-based” pricing, trying to head off cost-control confrontations in which private or government insurers might seek to impose more rigid caps. “We’re either going to take this into our own hands or it’s going to be done to us,” said John Maraganore, chief executive of Alnylam Pharmaceuticals Inc., a Cambridge company developing a portfolio of rare disease drugs based on the gene-silencing science of RNA interference. Both insurers and drug makers acknowledge there could be disagreements — over reporting and monitoring systems, and ultimately over prices — when they start to negotiate the new payment frameworks based on paying for value. Unlike countries in Europe, where government agencies set prices for prescription drugs, US regulators approve therapies on the basis of safety and effectiveness, leaving drug makers to contract with many individual health insurers on price. The largest US payer, Medicare, which insures older Americans, is sidelined by a law preventing it from negotiating prices that might otherwise set a target for bargaining by smaller commercial insurers. Biogen Inc. of Cambridge, which markets a portfolio of multiple sclerosis medicines, has already signed performance-based pricing contracts in other countries. In the United Kingdom, the company and three competitors are evaluated by the national Department of Health on a number of measures for helping patients with the neurodegenerative disease. US health insurers, which have long talked about paying for a drug’s value, now see an opening. It remains difficult to quantify value for thousands of medications ranging from acute care drugs like antibiotics to chronic disease treatments for conditions like diabetes and high blood pressure. But advances in information technology are making it easier for doctors, hospitals, and insurers to keep track of patients and how they respond to prescribed therapies. That will be critical as Express Scripts prepares to roll out its “indication-specific” payment structure. It would reimburse varying amounts to drug companies based on how long medicines prescribed for two different cancers — lung and pancreatic cancer, for example — extend the lives of patients with each disease. But some Express Scripts clients say they would have to upgrade their electronic information and payment systems to track such outcomes. Blue Cross Blue Shield of Massachusetts, for instance, will probably have to weigh “operational issues” as one factor in deciding whether to initially sign on with the Express Scripts plan, said Tony Dodek, the insurer’s medical director. Another way is being considered by Harvard Pilgrim, the Wellesley-based insurer that negotiates directly with drug makers. Chief medical officer Michael Sherman said it is developing a performance-based rebate model that could be applied to treatments such as a new class of cholesterol-lowering drugs. For example, it might require rebates if the drugs don’t lead to a reduction in hospitalization for strokes or chest pain. Jeff Jonas, chief executive of Sage Therapeutics Inc., a Cambridge startup working on treatments for depression and a form of epilepsy, said the industry needs to be proactive. “We recognize that pricing is something that has a societal impact,” he said. Avalere projects that just 10 new therapies expected to be introduced soon will cost Medicare, the nation's largest health insurer, $31.3 billion over 10 years.